It was Autumn, when Hordak was born in the year 2002. Then Winter and Autumn started to play together. 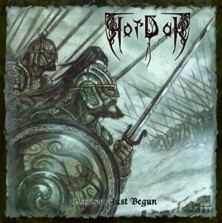 Their main interesting was perform Celtiberian Pagan Metal. In Spring of the next year, they recorded their first and only Demo. Some time later, “Vascón”, joint the Pagan Order, taking charge of the bass guitar. This will be the team that will record their first album, tittled “War Has Just Begun”. The album was self-produced and self-financed too. It was recorded in only two autumn´s night. Cover and artwork were drawn by Kris Verwimp. Recently left the band. For the present time, Winter will record the bass guitars. The current formation of the band is: Autumn (Vocals, Guitars, Keyboards and Drums) and Winter (Guitars, Bass and Drums). 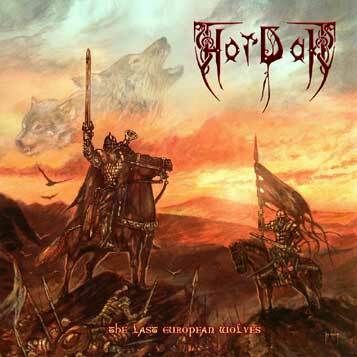 Our last facts have been the recording of a song called Hugin and Munin for the third Folkearth´s album. This time, drums were recorded by J. Sierra from Dawn Of Tears and Last Deception and the flute was recorded by A. Pangin.